New Century Filaments Pvt. 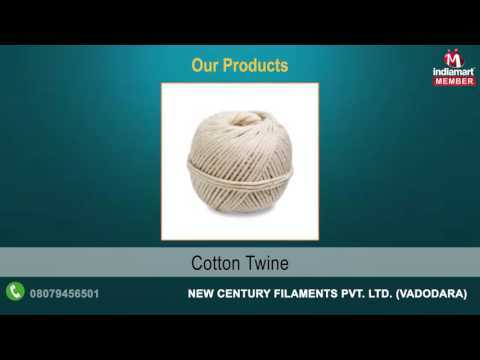 Ltd. is a prominent name in the sphere of Threads and Cotton Twine Balls market serving our clients since from the year 1980. Our products are excellent in performance and include a wide array of Industrial Sewing Threads, Monofilament Yarn and Cotton Twine. Also, we maintain ethical approach in all our business operations & try to offer our products in best possible prices. We are trusted throughout the nation because of our safe and easy payment facility & business transactions. With this approach we have significantly maximized our client base in the entire nation. Moreover, we leave no mark untouched to sustain quality in our provided facilities.